BetOnline Poker employ the strictest anti-hacking security standards so you can deposit and withdraw your money with absolute confidence. Instead of offering poker bonuses that sometimes seem impossible to clear, BetOnline is offering players something new and different. $150k in guaranteed prize pool poker tournaments. They call them hit and run poker freerolls; they are free poker tournaments where players win real money. In most cases, in effort to boost prize pools, players can rebuy and buy an add-on. 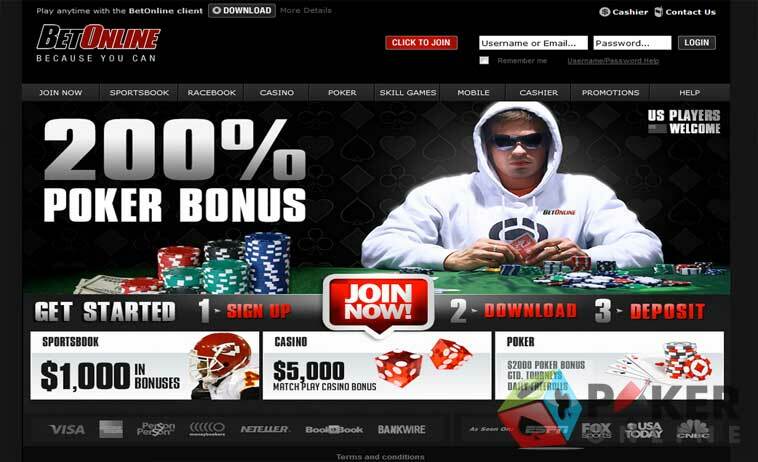 BetOnline has been a strong contender in the online gambling industry since 1991. 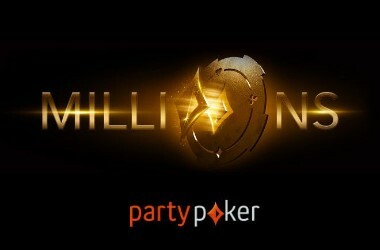 In 2010, the company launched an online poker room that now serves thousands of online poker players every day. In fact, there’s not much more you could ask for with this site, BetOnline software works on Macintosh computers, accepts US poker players, and to top it all off, it’s an easy poker site get money on and off of. The cream, site is full of fish. 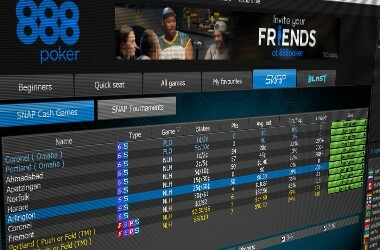 BetOnline Poker is a great choice for poker players in the United States especially given their experience in the gambling industry, with so many new online poker rooms popping up and rolling out welcome mats to United States players; it’s nice to see a name in the crowd with a lot of experience as a name USA players can trust. What’s best however is that the sportsbook at BetOnline, the Casino, the Horse Betting site, all of that was already there. 100’s of players come from the casino and betting areas of the website over to the poker room creating soft games and easy money for even a mediocre poker player. After all, you don’t have to be the best poker player to make money at the game; you just have to find yourself at a table with a guy that’s a little bit worse than you. At current, BetOnline Poker features the staples when it comes to online poker, plus a few other varieties of the game. 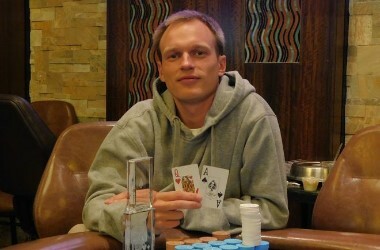 Poker players will find No Limit Holdem of course, as well as Limit Holdem games. There isn’t a lot of action in these alternate game areas; however, there are always no-limit games available, and generally some limit holdem tables. 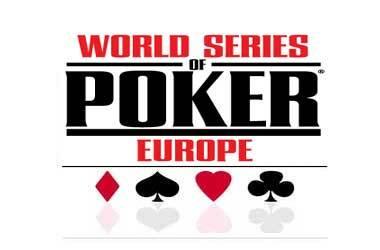 Once in a while the players will find an active PLO or PLO8 game going. Stud poker has been pretty quiet to date. BetOnline offers both Multi-Table tournaments as well as Sit n Go style poker tournaments. In addition to the real money tournaments on offer, the site offers hourly freeroll events. BetOnline features $150K in Guaranteed Tournaments each month! Now these events are where the gravy money is made if you can make it into the money in a multi-table tournament. The player base at BetOnline is still relatively small, so there are plenty of overlays, which means that there is often house money in the prize pool of guaranteed tournaments because not enough players bought in to cover the guarantee. That’s dead money just there for the taking. To visualize, it’s as if extra players bought into the game, and then just didn’t show, they were knocked out before the game ever started. There’s been some confusion as to what software is actually used by BetOnline. Are they on the Hero network or is BetOnline on the Action Network? There have also been some complaints, because the site recently went proprietary, rolling out their own software. Well people don’t like change, that’s the main reason for the majority of the complaints surrounding BetOnline. Furthermore, when the company launched new software, there were indeed some glitches, and bugs, as there is whenever any new product is released to the public. The good news is that the new software is user-friendly and stands alone. That means when you’re playing poker at BetOnline you’re simply playing poker with other players at BetOnline. Singing up for an account with BetOnline is a simple process that takes just a few minutes. The process begins when you fill out the registration form on the Bet Online website. From there you’ll head to your email account and click the verification link the company will email you after you get signed up. This proves that they have a real email address on file for you. Don’t worry about spam, there’s a box on the registration form that asks you if you want promotional emails, you can simply uncheck them if you’re not interested in keeping in touch. You can also change your email preferences from within the poker lobby later on. The confirmation email will come from the customer service department at BetOnline so if you have strong spam blockers, simply add cs@betonline.com to your white list or address book as BetOnline. Once you open the email, simply click the big blue link that says ACTIVATE. Once you click on the ACTIVATE link in the activation email, you’ll be taken to an account funding page where you’ll have the opportunity to fund your account and play poker with real money. Keep reading for further information about account funding methods available below. 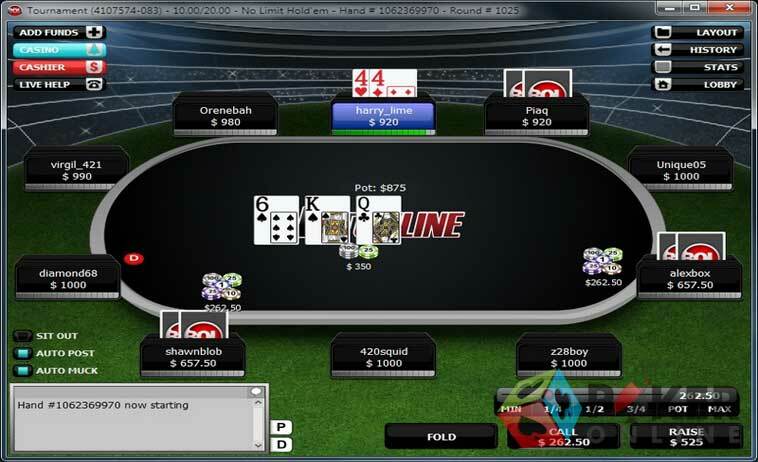 The software at BetOnline poker features many of the things United States Poker players are missing from their old favorite poker sites like Full Tilt Poker and PokerStars such as resizable tables and easy to access and read hand histories. The software also comes with note taking abilities, as you might expect, and a couple of options as far as table skins. There is also an out-of-the-box Mac compatible solution available for Mac Computer users. Customer support is available via telephone, email and live chat. During the writing of this review, we sent two emails to the staff at BetOnline. At this time, we’re yet to receive a response. However, contacting live support was a breeze. There was little to no wait for a live chat operator that was knowledgeable, and friendly. Visa person to Person transactions work a lot like sending money to friends and family via PayPal does. This is a unique payment options as far as Poker Deposits go, and often works even when the very same Visa Card used to execute the transaction has been declined. The minimum deposit amount using Visa’s Person to Person deposit option is $50. Customers can use this method to deposit as much as $2,500 per day. If you want to use Person to Person by Visa to make your BetOnline poker deposit, join the live chat, and talk with a cashier for depositing details. Players can use their Visa cards to buy poker chips just as they would use any the card to buy anything else online. The minimum deposit is again $50 per transaction, and the maximum is $2,000. Due to the UIGEA which changed the way that banks do business with online gambling establishments some transactions may be declined, it’s a little bit of Liberty that was lost during the events that occurred on September 11th 2001 in the United States and the reckless passage of laws that occurred afterwards. In the case that your card is declined, when it should for all other purposes work fine, we recommend trying an online eWallet, or a Visa person-to-person transaction (see above). Another option involving the Visa company is the use of Visa Gift cards that are specifically sold to work internationally. These cards are sold to work with International companies, and to work online, be sure that you make sure the card you purchase will work for both of those purposes. There are even virtual cards that can be bought online, however, in most cases these cards won’t work if sold to someone in the United States. An exception to this rule is Easy Voucher. To make the deposit, simply purchase your Easy Voucher by clicking the link in the BetOnline cashier window. Then enter the 36 digit voucher number, and your account will be credited instantly. BetOnline accepts deposits via both Western Union and MoneyGram. For those in the United States, that can be as simple as a trip to your local Walmart to pick up your poker winnings, or make a deposit to your online poker account. In fact, when you’re using Western Union in conjunction with a Visa or MasterCard to make a deposit to your account, you don’t even need to leave the house, simply call Western Union at 1-877-276-5554 and process the transaction over the telephone. You will need BetOnline’s company information, and then you’ll need to provide them with the transaction numbers, so it’s best to get in touch with a player services representative before imitating the transaction and get all of the information you’ll need to process it. The minimum Western Union or MoneyGram transaction amount is $50, the maximum is $2500, however, if your transaction is processed for at least $300, BetOnline covers the fees. It’s not the fastest way to fund your BetOnline poker account, but it is effective, and you can deposit a bit more at one time than you can using some of the other available account funding options at BetOnline casino. If you would like to mail a money order to BetOnline, they are accepted in amounts ranging from $300-$9000. The benefits to using money orders to fund your account is that they are entirely anonymous. There’s no record of your having purchased the money order, the only record is made after the money order is cashed. To keep the entire process anonymous, send the BLANK money order to BetOnline, and include your account number on a separate piece of paper. Be sure to hang on to your receipt just in case the money order gets lost in the mail. In some cases, even keeping the receipt won’t help you however, as blank money orders are often irreplaceable. If you decide to use express mail to mail the money order, get in touch with player services and they will give you instructions on getting that fee credited to your account as well. You’re not likely to obtain a new MoneyBookers, now known as Skrill account if you’re located within the United States, however, if you’re outside of the US, or happen to still have a Skrill account, this is the most flexible deposit option offered at BetOnline. Players can make micro-deposits of as little as $10, and mega deposits up to, well as much as you want to put in your poker account, there’s no limit. The best thing about funding your online poker account with Skrill is that your funds will be in your BetOnline account almost instantly. Just login to your Skrill account, and send the cash to Moneybookers@betonline.ag choose the amount of chips you’d like to buy. Choose UDS as the currency, and include your BetOnline user I.D. 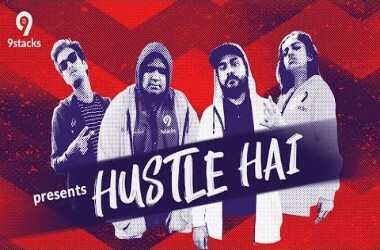 in the email subject.